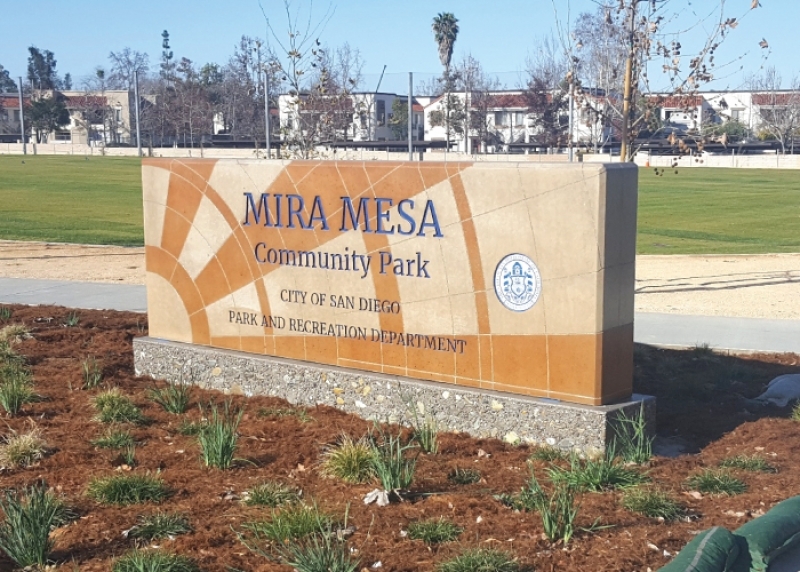 Mira Mesa Community Park is in the midst of a large improvement and expansion project to be completed by 2022. 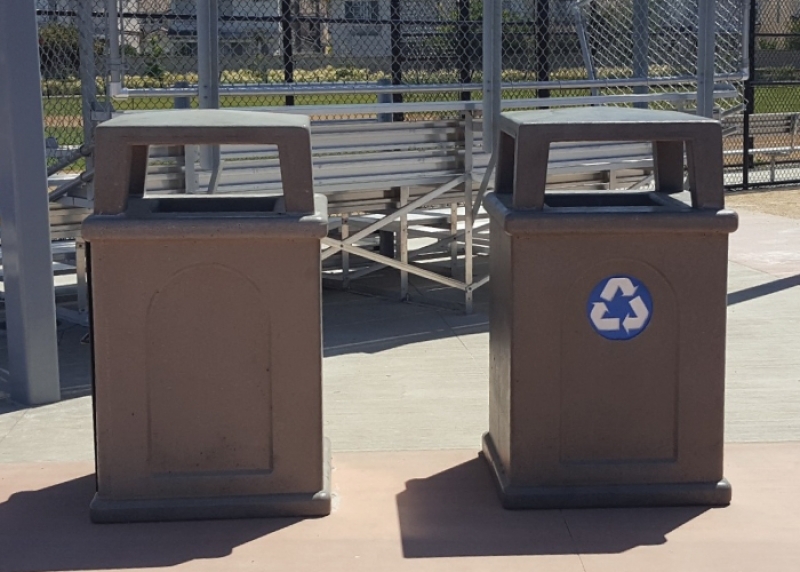 The first phase of expansion was opened to the public on March 1, 2018. 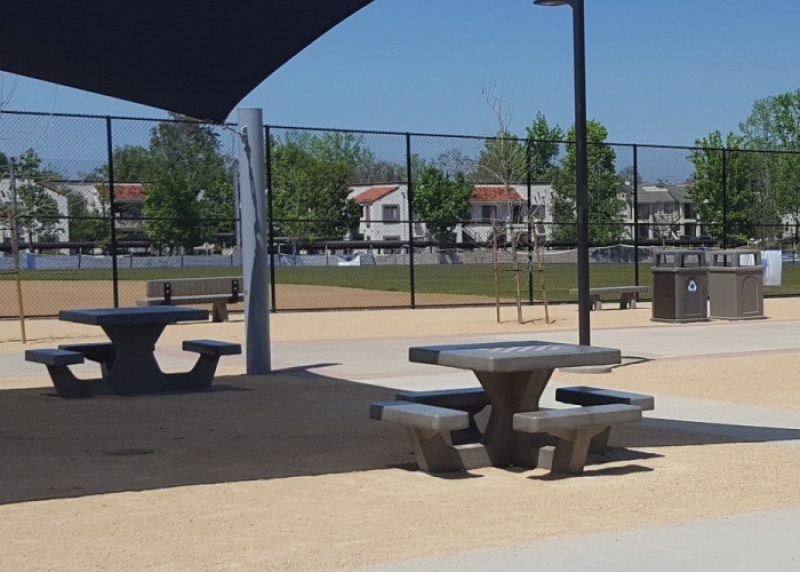 Mayor Kevin Faulconer pledges to build or improve 50 parks in five years. 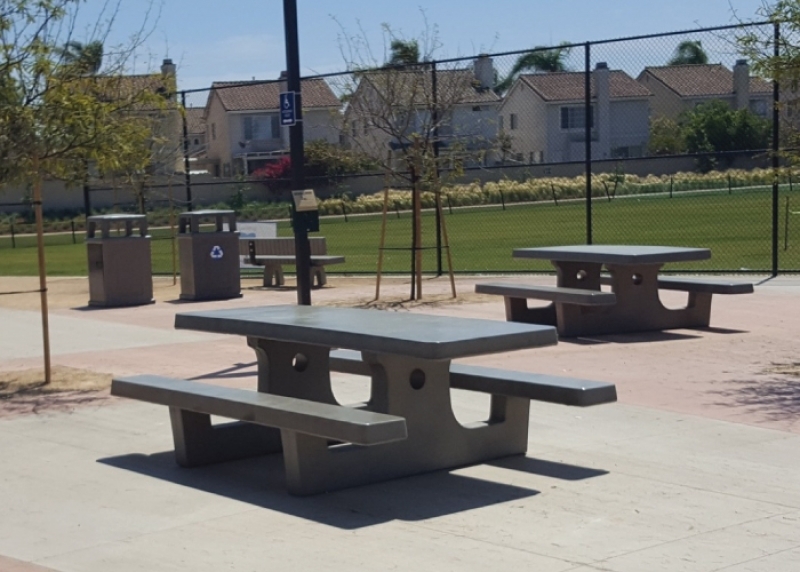 This phase of the expansion included new concrete site amenities: picnic tables, cafe tables, benches, trash & recycling receptacles, and custom monument signs. 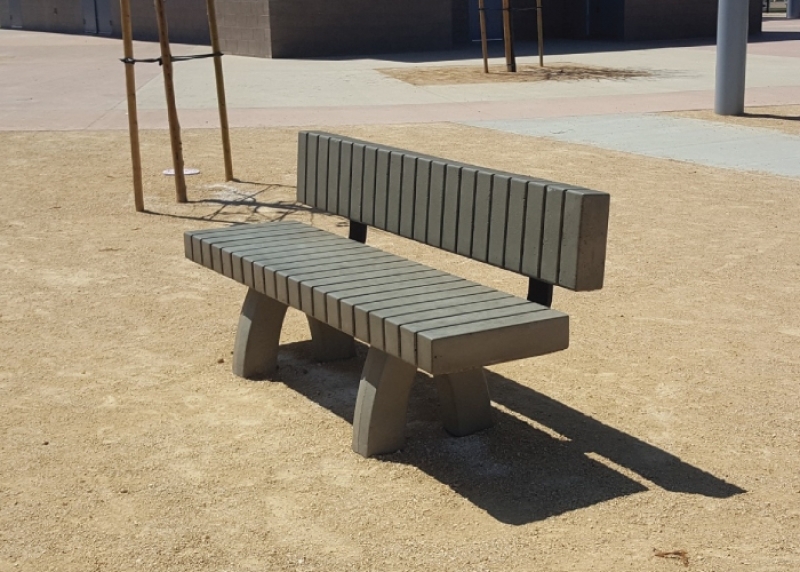 Mira Mesa Community Park is one of the first parks to feature our newest bench style, the #421 and #422. 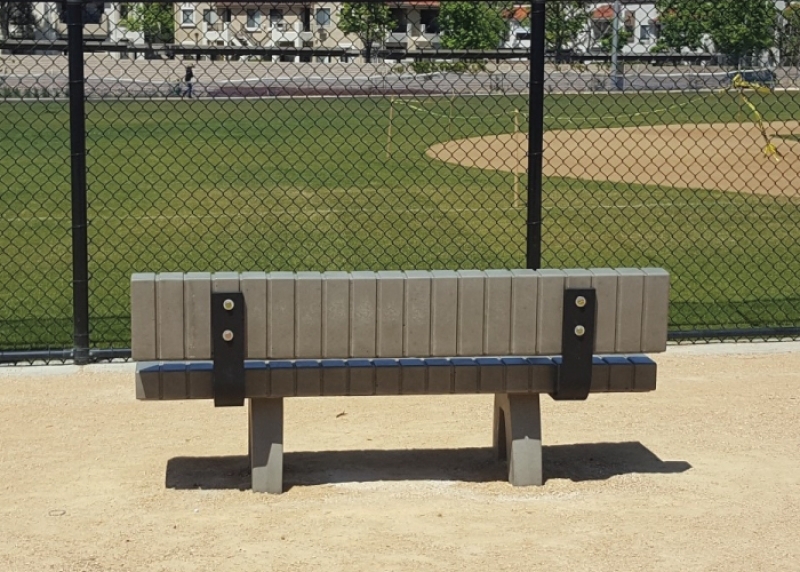 The entrance monument signs feature cast in letters, engraved textures, acrylic logo and staining. 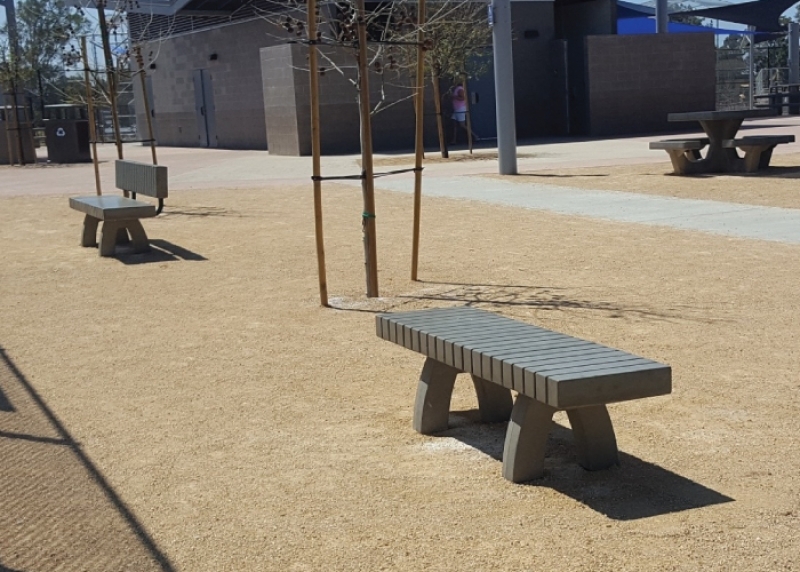 The base has an extremely heavy sandblast texture with large aggregates exposed. To read more about this project online, click here.